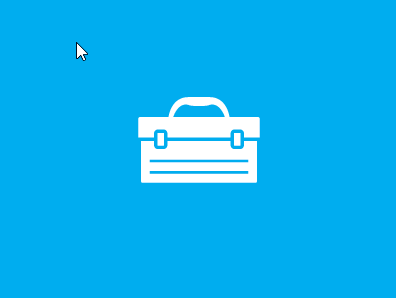 Once you have all of the necessary files downloaded and saved on your Windows Server 2012 R2 box, then begin by installing the “adksetup.exe”. 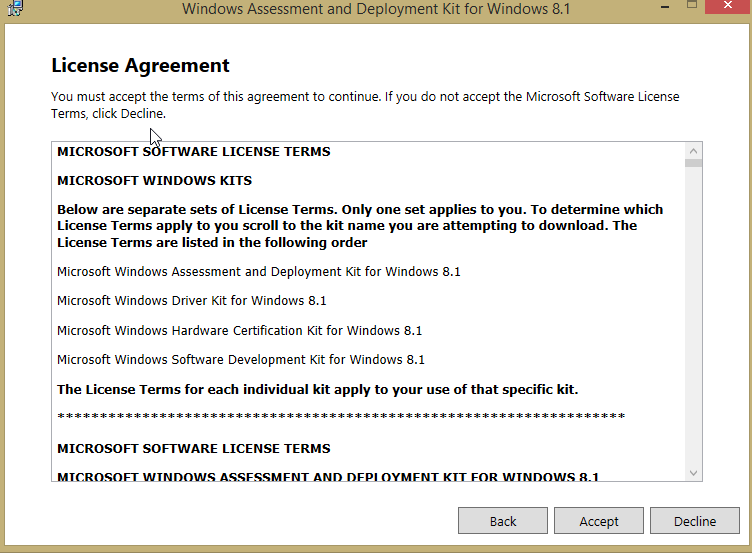 I choose to download the ADK instead of installing it. The reason I do this is because I like to keep a backup of the original file, just in case the server crashes or something else happens. 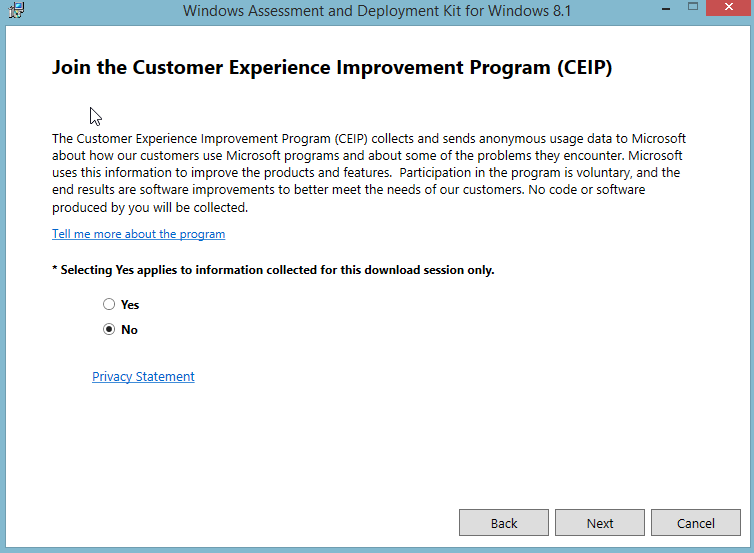 I typically choose to not accept the CEIP, mostly because it adds a little database file in AppData that i’ve seen become corrupt and cause log in issues. If you choose to, it should be fine. 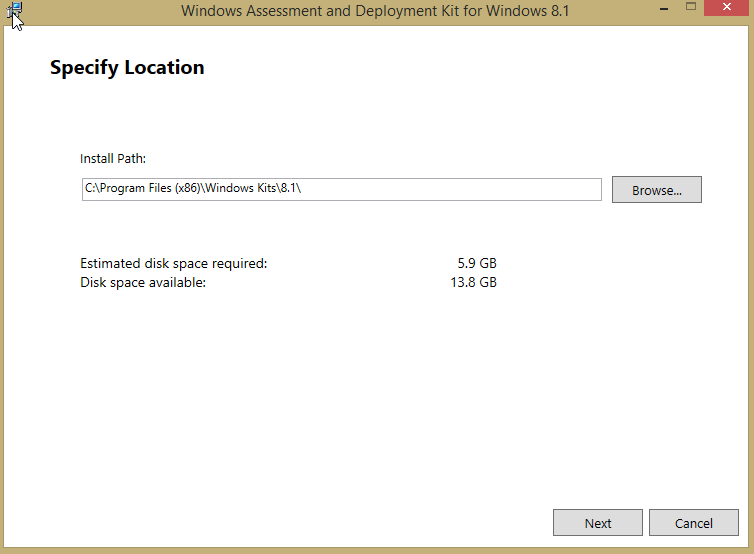 Wait until the adksetup has been downloaded then proceed to the location that you save it to. 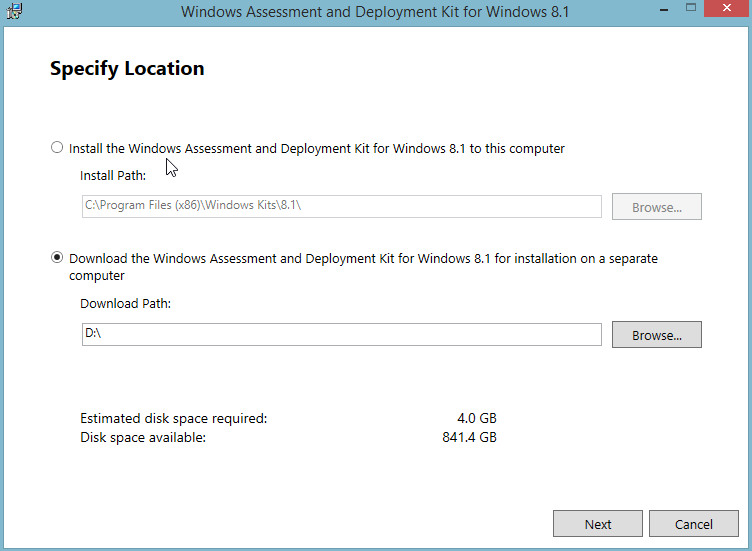 Specify the location that you want to install the ADK files. I personally like to store them on a separate drive than the OS but it’s up to you. Again, it’s up to you but I always select No. Below are the features that I install but you could install all of them. Here is why I choose why I install the following. 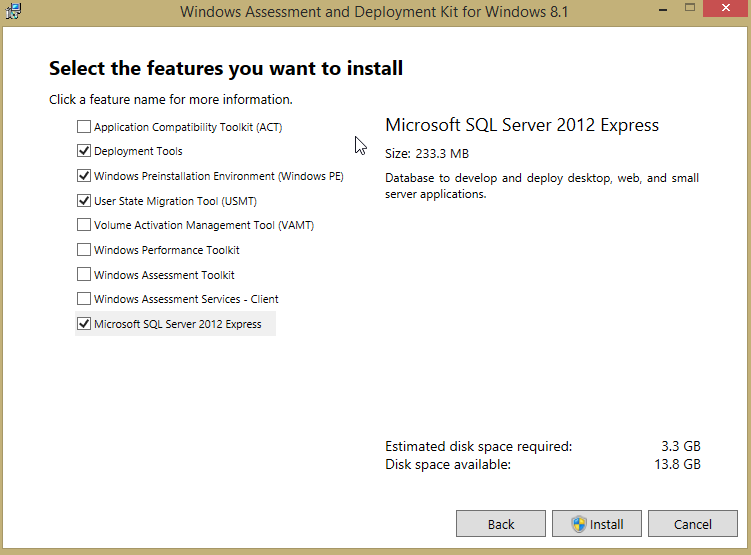 SQL Server: I mostly install this because you can use it to setup a backed database for MDT, it’s not necessary unless you plan on using it. 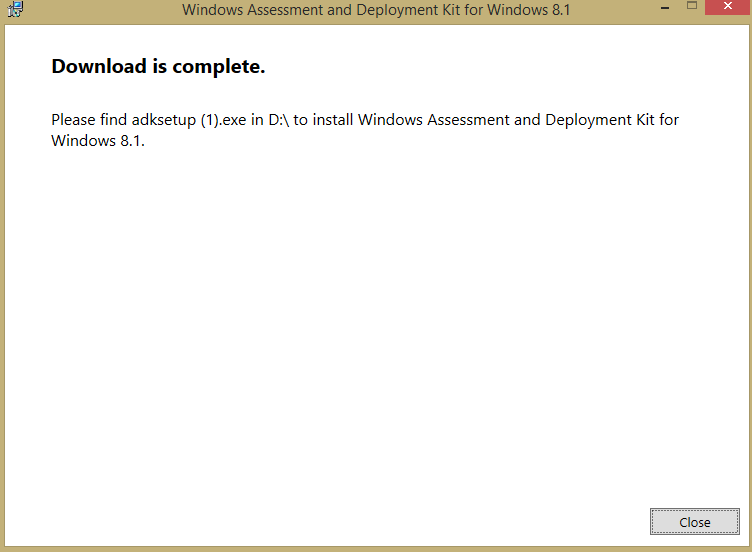 Congratulations, you’ve installed ADK on your Windows Server 2012 R2 box. 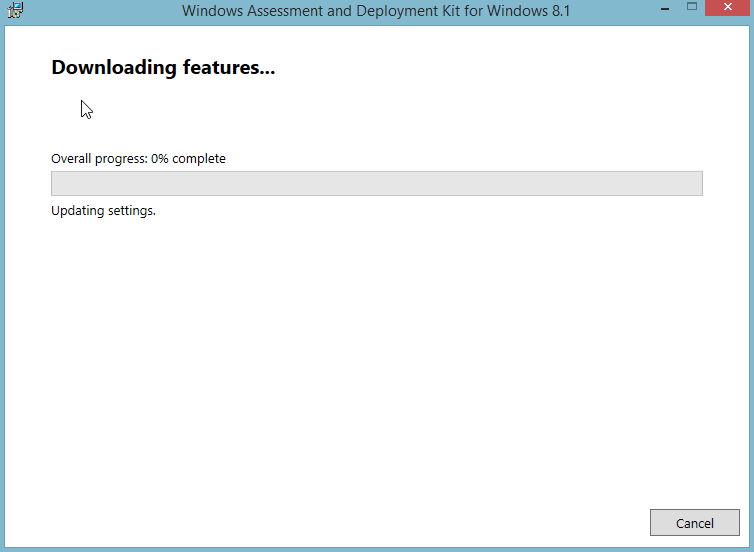 Next we will install MDT 2013. 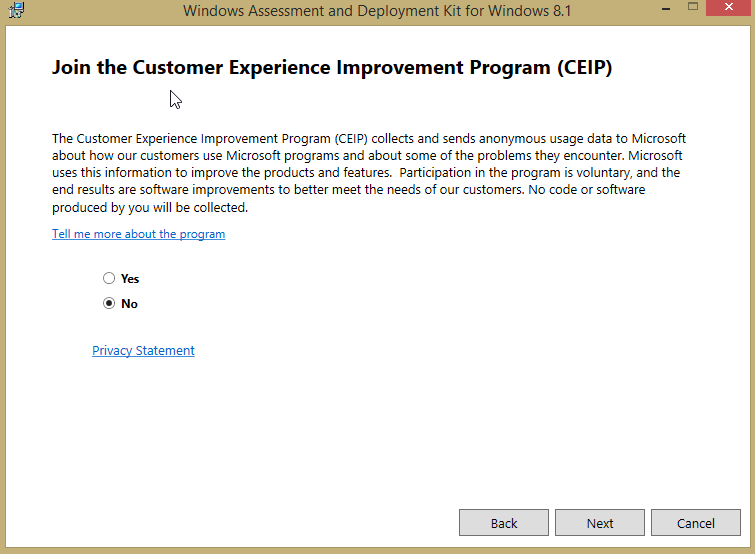 I just started using MDT and WDS. 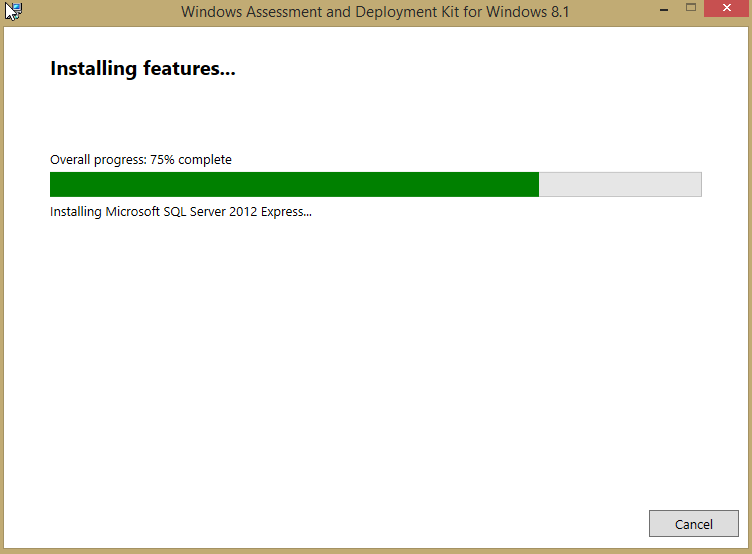 So I am testing windows 7 now. I have issues joining the domain. It was joining before I made some changes to group policies in image. Could you help me out?